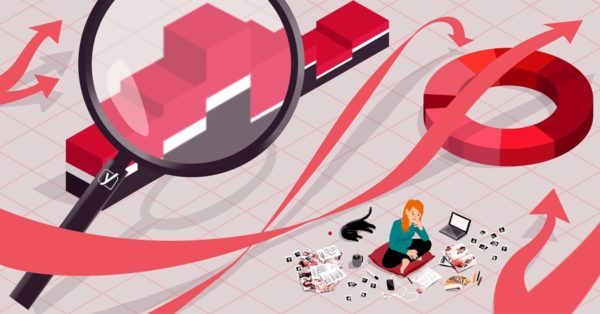 Following our post on YouTube Analytics, that mainly dealt with watch time reports and all the charts and stats that are in that section, we’d like to complete our article on YouTube Analytics with this post on engagement reports. First, I’d like to thank you for your comments on our site and social media about that post. 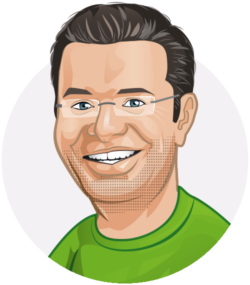 One of the comments was: “Video will change the way of content marketing”. I think that video is already an important part of content marketing, hence our recent focus on video and vlogs. It’s an easy way to make things more personal, right? And being more personal can only lead to more engagement from your readers or viewers, in my opinion. Engagement is what this second post is about. It’s always nice to see if you gained any new subscribers and how people engaged with your videos in terms of comments and likes. YouTube Analytics divides these stats in all kinds of different section that describe the ways that people are able to engage with your video. 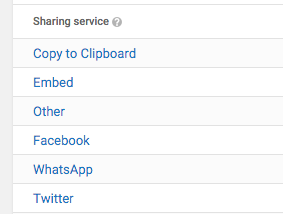 That varies from subscribing to your YouTube channel to how many people comment or share your video. You can select by hand which videos to show in the graph as well, and as mentioned in part one of this article on YouTube Analytics, there are a number of charts to choose from. 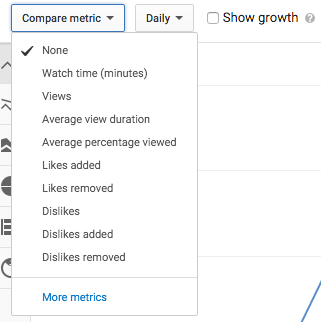 This section in YouTube Analytics will give you a nice overview (stats can be viewed per post) of all the likes and dislikes your channel got over a selected period. I’d like to emphasize that YouTube Analytics allows you to compare a lot of metrics here. The ‘More metrics’ link will give you a total of 30 to 40 metrics, depending on where you use this. You can compare everything from Card Teaser Impressions to Adsense Earnings (if applicable) and Favorites Added. Per period, as the ‘Daily’ select box in the image on the right will give you a set of 10 different periods in time. See what fits your needs. Besides this option, there’s a much more powerful “Comparison…” button at the top that will allow you to compare two videos to each other (be sure to select ‘first 7 days’ in the date range drop down). This comparison option will also allow you to compare for instance two geo locations to each other. Or how your subscribers compare to your non-subscribers, for example. Note that it’s not at all engagement-specific, but neither is the compare metrics dropdown we discussed above, right. It does provide valuable information. This is shown as a percentage, as absolute numbers and you are able to include a total as well. Of course, this is pretty similar to how things can be shown for other metrics. Obviously, YouTube Analytics also allows you to view specific statistics on your own Playlists as well. Note that only a limited number of reports are available for playlists, and these are only in the Watch time reports section of YouTube Analytics. You probably get alerts for new comments one way or another, but this section shows you on which videos people commented. It would be convenient if the comment itself was also shown, of course, just to see if it was positive or negative, for instance. But that takes a few extra clicks to the video itself. It’s a handy section to see where your commenters are coming from, and it’s nice to see which posts got most comments, but I’m not a frequent visitor of this report, to be honest. Please note that this YouTube Analytics report “Only includes direct shares from the social media options on the YouTube watch page. Does not include shares via embedding, email or copy/pasting the generated link.”. I was under the impression that it didn’t include details on what social platform videos were shared either, but found the sharing service dimension of the report to show just that – see image on the right. Furthermore, it shows how many shares from what country, basically. For social promotion, this could be your main report. Try to align topics and services for yourself so you can focus on the right services for your business. Our most used annotation is “Subscribe to our YouTube channel »”. You can view the number of clicks and CTR and YouTube Analytics also shows you the number of closes and close rate. With some imagination, you could already perform a simple A/B test (simply test two annotations for a week and see what works best) with just this report. Same goes for annotation types, by the way. I’d be happy to share more information on this section in YouTube Analytics when we have more experience with YouTube Cards, but feel free to share your experiences in the comment section of this article! Looking forward to it. Ted Hamilton handed me this example. In his words: This graph clearly shows that some of my family members are skipping to the end of this video so they can pass the test if I quiz them about what happened at the end! At least they’re rewinding to watch the beginning over and over again! Ted, thanks again for your contribution to these posts. It is nice to get some extra insights from someone that made YouTube Analytics into his daily business. Much appreciated!